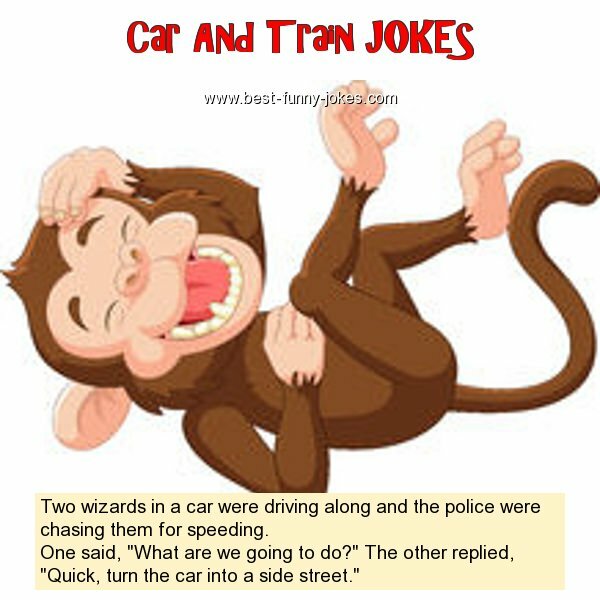 Two wizards in a car were driving along and the police were chasing them for speeding. One said, "What are we going to do?" The other replied, "Quick, turn the car into a side street."